While most owners shudder at the thought of their precious pup suffering from a debilitating disease, it's something that many loving owners have to deal with on a daily basis. Unfortunately, kidney disease is a relatively common ailment, especially among older dogs. It's estimated that one in ten dogs will develop the disease at some point in their lives. The good news is that kidney disease is manageable if it's caught early on. If your dog has kidney issues, you need to take special precautions when planning their meals. Low-phosphorus dog food can help take the stress off of your dog's kidneys and slow down the progression of the disease. While it won't cure kidney disease, a low-phosphorus diet can help you maintain your dog's health and avoid serious complications from occurring. There are a number of different options available. Because your pup health is on the line, it's more crucial than ever to be extra vigilant when choosing the right one for their needs. Here's a list of over the counter dog foods and prescription meals to get you started. 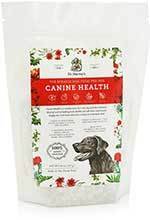 This non-prescription dog food from Royal Canin is designed to target a variety of health issues. It's a highly digestible formula that has ideal levels of phosphorus for optimal kidney health. The thing that sets this food apart is that it contains hydrolyzed protein. The protein comes from soy that has been partially broken down into its core components. This helps your dog absorb the essential amino acids without unwanted reactions. Because it's broken down already, your pup's immune system will not react negatively. About 21.5 percent of the recipe is comprised of protein. When it comes to phosphorus, this formula only has 0.5 percent, which is ideal for dogs with kidney issues. It also contains calcium carbonate, potassium, and beneficial beet pulp. This pre-mix from Dr. Harvey's is a great option if you want more control of what your dog eats. It contains a collection of healthy grains, dehydrated vegetables, and plenty of herbs to provide your pup with a balanced diet. To prepare your dog's meal, all you have to do is add meat and water. You can choose what type of protein source your dog eats. 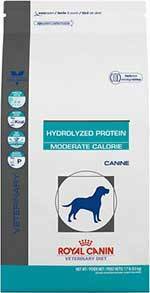 This gives you the opportunity to introduce low-phosphorus ingredients into your pup's diet. The pre-mix only has 0.35 percent phosphorus in it, so there's plenty of wiggle room to keep meals healthy. Beets are used for digestion while calcium is added to act as a phosphorus binder. 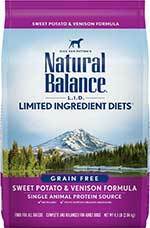 The Limited Ingredients Diet from Natural Balance provides your dog with the essentials and nothing more. It's free of unnecessary ingredients. This puts less stress on the kidneys without depriving your dog of the protein, vitamins, and nutrients they need to thrive. Overall, the formula is made up of about 20 percent protein. Phosphorus levels are significantly lower than traditional kibble options at 0.6 percent. This is due to the use of venison, which has about the same amount of phosphorus as ground bison and chicken. The formula also has pea protein and potato protein to give your dog plenty of amino acids without having to worry about too much phosphorus. 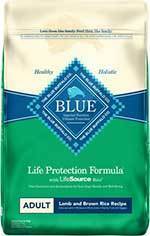 The Life Protection formula from Blue Buffalo is designed to keep your dog healthy throughout their life. It has only 0.7 percent protein, which is considerably less than most kibbles you'll find on the market. It's also made up of about 1 percent calcium, helping to keep your dog's phosphorus intake in check. When it comes to protein, this recipe contains great sources like lamb and fish meal. The proteins make up 22 percent of the recipe. You'll also find a collection of healthy fruits and vegetables. Not only do they act as beneficial probiotics and prebiotics, but they also contain antioxidants. They support your dog's overall health by fighting off free radicals and providing a healthy dose of vitamins. 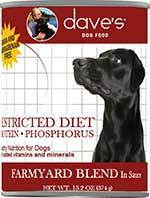 If your dog prefers soft food, give Dave's Pet Food Farmyard Blend a try. It's specifically formulated to support dogs with renal failure. It only has 0.05 percent phosphorus. The recipe also has lower levels of protein, providing you to have greater control over your pup's diet. Chicken broth is the main ingredient, ensuring that the food has an appetizing taste. A collection of healthy vegetables are also used. They include peas, potatoes, and carrots. About 0.25 percent of the food is made up of calcium, which comes from calcium carbonate and dried eggs. There's also a natural nitrogen trap thanks to the inclusion of dandelion greens as a probiotic. Phosphorus is an essential mineral that plays a crucial role in overall bone development and growth. While it's often not considered to be as important as other minerals, every canine needs it in their diet. Puppies require much higher doses of phosphorus, as they are still growing and need all the support they can get. However, as your pup gets older, their phosphorus needs decline. Despite its importance to their development, dogs simply aren't built to process high levels of phosphorus. Sure, your canine companion will do fine with small amounts, but most commercially-available dog foods have more than your dog actually needs. Your pup's kidney has a harder time handling higher concentrations. If your dog suffers from renal failure, those issues are only exacerbated. When the kidney can't do its job properly, phosphorus and other minerals accumulate in the kidney, causing stones and a host of other problems. Phosphorus is known to make kidney disease worse, so the best way to support your dog's health is to provide them with a low-phosphorus diet. So, if phosphorus is the problem, what's so hard about finding a low-phosphorus food? Well, the ingredients in your dog's kibble that contains the most phosphorus are the proteins and grains. In the past, veterinarians typically recommended low-protein diets for dogs with kidney failure. However, dogs simply cannot survive without an adequate supply of protein. It's the most important nutrient that they need to live happy and healthy lives. Cutting out protein or reducing the protein content in your dog's food significantly can only do more harm than good. How Do Low-Phosphorus Foods Help With Kidney Disease? Low-Phosphorus dog foods are relatively new to the pet food industry. Manufacturers had to get creative to come up with a solution that could help dogs that suffer from kidney disease without causing more problems from a lack of high-quality protein. Even to this day, new methods of controlling kidney disease are being developed. The main goal of low-phosphorus dog food is to provide them with all the protein, fat, and omega fatty acids they need while balancing out the phosphorus. Most traditional dry dog foods are made up of approximately 2 percent phosphorus. To decrease this amount, manufacturers may introduce additional ingredients or supplements that counteract the phosphorus. They may also swap out traditional dog food ingredients for low-phosphorus alternatives. When you're shopping for dog food that's right for your furry friend, there are a few things to look for. Aside from keeping your eye out for products that are specifically formulated for kidney health, you can examine the ingredient's list to ensure that it's safe for your pup. One of the first things you should be looking at is the product's overall phosphorus content. This figure can be found near the ingredient's list, in a section titled "guaranteed analysis." Most standard dog foods are made up of around 2 percent phosphorus. If your dog suffers from kidney disease, they should be consuming only around 0.60 percent. It's a good idea to find a dog food that hovers around this figure. A little more than 0.60 percent is acceptable, but you should always shoot for less than that. Quality protein should always be at the forefront of your dog food search, even if you're looking for a specialized diet. Tne thing that your pup's food shouldn't do is restrict their protein intake. Your pup will still need plenty of protein to support their muscles and keep them healthy. Even dogs with kidney failure should have a diet that consists of approximately 20 percent protein. Consult with your veterinarian to get a better idea of how much protein your dog should be consuming. Depending on the severity of their condition, your vet may recommend lower amounts. This is especially true with older canines. In addition to paying attention to the amount of protein your dog is eating, you should be scrutinizing the type of protein they're consuming. When you're dealing with kidney disease, the quality of the protein source is more important than ever. Stick with identifiable meats and steer clear of byproducts. Meat byproducts may contain morsels that are very high in phosphorus. There are many different protein sources that are significantly higher in phosphorus than others. Often times, these protein sources are beloved meats that are used in premium kibbles. This can make it very difficult to find a dog food that meets your pup's needs. Ingredients like sardines, liver, and beef have relatively high levels of phosphorus per ounce. It's best to avoid foods that use these protein sources altogether. Low-phosphorus meats include shrimp and duck. The former is quite expensive to use in dog food and often comes with its own unique set of issues, so it's a good idea to look out for recipes that contain duck. Duck, chicken, and turkey meat are some of the easiest low-phosphorus ingredients to find. Typically, real meat is the best source of protein for dogs. However, there are alternatives for dogs that need to avoid as much phosphorus as possible. Quinoa is an excellent protein source that's very low in phosphorus. Other options include white rice and potatoes. While they shouldn't be used as a primary protein source to replace meat, they can make up the difference when you're trying to supply a high-calorie meal. Potassium can provide your pooch with a number of benefits. Low potassium levels have been connected with worsening kidney function. As a result, many veterinarians suggest potassium supplements. The mineral is also believed to help rebuild the kidney over time. While it may not help heal your dog's kidney issues completely, potassium might be able to assist with the filtration process. Many manufacturers add a healthy dose of potassium to a recipe through the use of supplements or ingredients like bananas. Another way that manufacturers balance out phosphorus levels is by introducing phosphorus binders. Essentially, binders grab onto the mineral before it can be absorbed into the body. It helps excess phosphorus pass through your dog's system so that the mineral doesn't make its way into the bloodstream. With a binder, the phosphorus can move onto the colon, where it can ultimately be passed through the stool. The most common phosphorus binder is calcium. It's recommended that your dog gets about 500 milligrams of calcium per pound of food they consume. Though, your veterinarian will be able to provide exact amounts that could benefit your pooch. The calcium should come from sources other than bone. This includes calcium carbonate, ground eggshells, or supplements. Nitrogen traps are great for reducing the workload placed upon the kidney. They work very similar to phosphorus binders, however, they focus on waste that's produced during the protein metabolic process. As your dog digests protein, the byproducts of the protein are usually sent to the kidney so that they can be filtered and passed through the urine. Nitrogen traps help to alleviate the kidney by passing the byproducts to the colon instead. Probiotics and prebiotics are excellent for creating nitrogen traps. These can be introduced to a dog food formula through leafy greens or beet pulp. When your dog is diagnosed with kidney disease or other related ailments that require low-phosphorus food, your vet will likely have a lengthy conversation with you about your food options. Many vets recommend a prescription diet in lieu of traditional food that you can purchase at your local pet store. Prescription dog foods have their benefits. They're specifically made for dogs with kidney issues, so you can rest easy knowing that they have safe phosphorus levels. They take the hard work out of planning your pup's meals. However, that doesn't mean that you don't have to do your homework. Many prescription foods don't just restrict phosphorus levels, but also protein. You'll find foods with as little as 12 percent protein. This can prove to be problematic in the long run. They also have low sodium levels, which could affect the moisture within your dog's body. Furthermore, prescription options have a significantly higher price tag. While prescription foods certainly can help dogs with kidney disease, it's important that you speak with your vet about your dog's unique needs. If your dog can stay on a high-protein diet, it's best to steer clear of prescription kibble. You can achieve many of the same benefits with a non-prescription food, all without depriving your pup of some much-needed protein. Have a conversation with your vet and see what options are best for your dog. Kidney disease, while serious, can be managed with a great diet. Low-phosphorus foods can dramatically improve your dog's kidney health. They help to prevent your dog's condition from getting worse by reducing the kidney's workload. While it might seem like a big adjustment at first, your precious pooch will soon get used to the dietary change. Once you find that perfect diet plan, your dog can stay healthy, happy, and full.